The Foreman Public School system is a vital part of our community. The high school and elementary combined currently employs 42 teachers. The Foreman School District has a total enrollment of 537 students in grades K-12. Foreman boasts an unprecedented five year girl’s state softball championship! We’re proud of our kids! Take time to read through our statistics available through the links to the left, and you’ll see Foreman is a great place to raise your kids, too! The elementary school currently employs approximately 23 teachers. The Foreman School District has a total enrollment of 283 students in grades K-6. Recent building projects include the construction of a new elementary school. 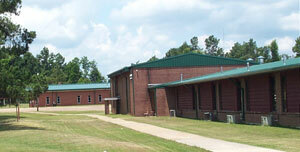 The elementary school is located at 311 W. 10th Ave. The office can be reached by calling (870) 542-7214 or (870) 542-6369.